These profiles were created for the book Squadrons No 6 ! – The Supermarine Spitfire Mk VII by Phil Listemann. 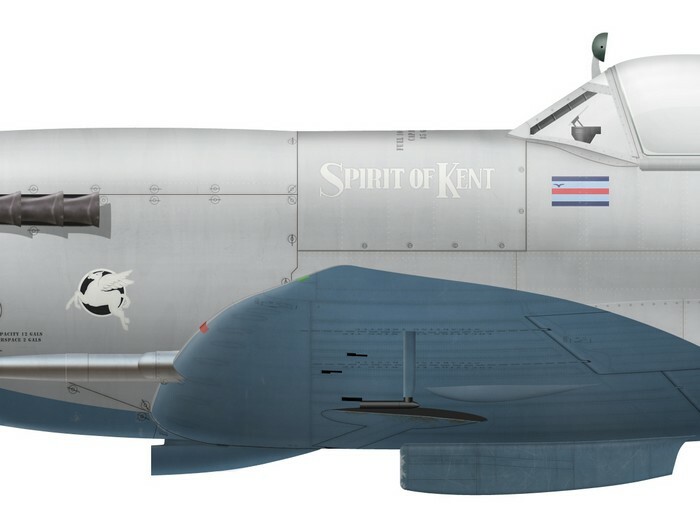 Supermarine Mk VII MD120 of No 131 (County of Kent) Squadron flown by S/L James J. “Orange” O’Meara. Culmhead, March 1944. Supermarine Mk VII MD182 of No 616 Squadron flown by F/L Jack Cleland (RNZAF). Manston, September 1944. Many aircraft of No 10 Group used 9-inches “invasion stripes” instead of the standard 18-inches ones after June 6, 1944.